So, I have the tendency to buy lots of things. Especially things I don't need. A few days ago I popped into Target to pick up a few things, deodorant and eyeliner, and ended up coming out with a bit more... Boot Socks - I really could've left these on the shelf. I tend to get on a "shopping" high and I run around getting things that look like a good idea, and these fall into that category. They are a really pretty color, but they are a bit itchy, so I don't know how often I'll actually wear them. Tangle Teezer - I am obsessed with this. Basically, it's my favorite purchase I've made in a while. It works amazingly (to be honest, I'm not really sure how) and I just love that it's British! I was sold before I even tried it! Almay Primer - Eh, I haven't decided if this one's a hit or a miss yet. It's a bit expensive for drugstore at $12 and I wasn't super impressed the first time I tried it, but I'm going to try it a few more times before I decide how I feel about it. Almay Liquid Eyeliner - I love this stuff. The color is called raisin and it's made to bring out green eyes (mine are hazel, so it technically counts). It's a very light brown with soft of golden tones and I love that's it's not as dramatic as black because when I mess up it doesn't show as badly. #win Goody Headbands - I'm obsessed with Emi Jay hairbands (the ones that are supposed to not leave a crease in your hair) and the headbands versions just seemed like a good idea. I'm hoping that they won't leave me with a terrible headache, like most elastic headbands do, but either way, I'm glad I bought them as a try out! 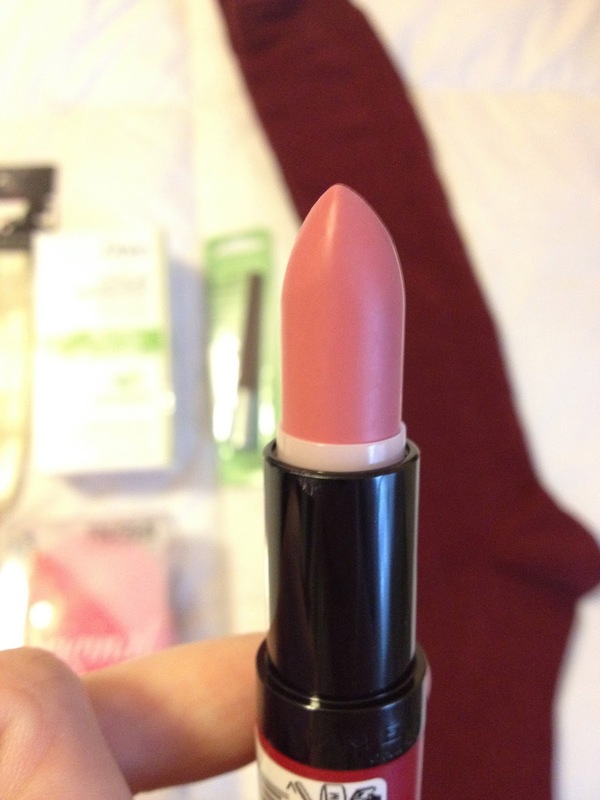 Rimmel Kate Moss 101 - I've already expressed my love for Kate Moss 107 so when I saw this color, it pretty much jumped in my basket. 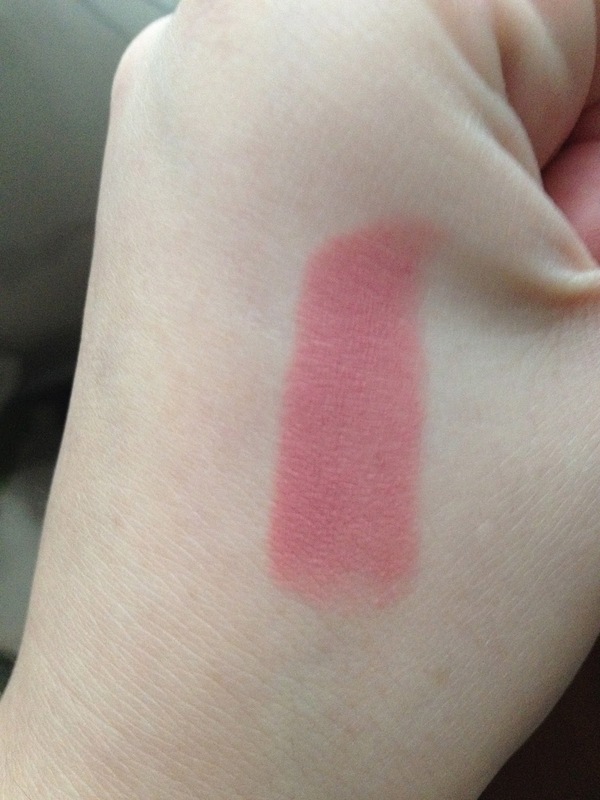 It's a very natural rosy pink color and even though I'm not super psyched about the formula as it's very drying on me, I'm going to keep trying it when my lips aren't as chapped as they are now. Dove Cucumber Deodorant - So since this is what I went in for, I obviously love it. Dove Clinical is great and I love the fresh scent. Tis all. What have you picked up recently? Are you a terrible impulse shopper like I am? Target is my go-to place for impulse buying. I went in the other day for room accessories and walked out with Sugar Paper planners. I'm in love with Almay primer! I usually hate spending lots of money on makeup (yeah, I think $12 is a heckuva lot), but I have super sensitive skin, so this stuff is the best! I feel the same way! I used it this morning and it was much better, it just takes a while to dry! I really want the Benefit Pore-fessional but that's crazy expensive for a primer..no thanks! When I was in school I was between the choice hacks in caste. Nevertheless, owing to poverty of practise I experience flatter truly rusty. I present realise that several of my completion in school are venal as hacks on custom writing on GrabMyEssays. I would receive been unit of them had I kept at it. Document are jealous of you need to succeed which usually a great number of essay or dissertation service plan creators implement. A totally free absolutely love for you to join such type of making staff. bestessay? You will assisting in others this particular may be want assisting in others see great daydream.